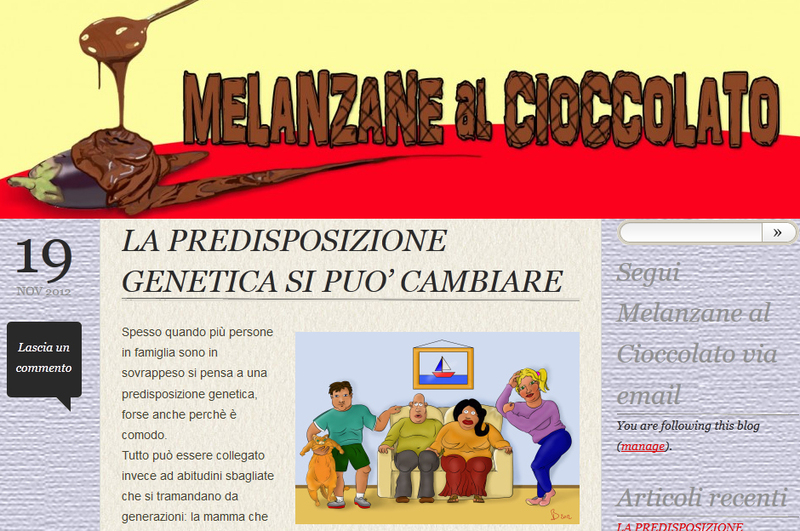 I would like to thank the site Melanzane al Cioccolato for having published my drawing. If you speak Italian and are interested in a healthy life style, this is a site that I definitely recommend you to visit often. Usually families with eating disorders have more than one member overweight, and people generally tend to think this is related to bad genes. In this article they suggest to take a look to your pet animal. If your cat or dog is a bit too fat too, it is very likely that you should review your eating habits first. I sketched this drawing on paper, I traced it on Adobe Illustrator and colored the flats, then in Adobe Photoshop I did all the lightening and the shading.